To initiate and build an entrepreneurial culture among youngstersRajagiri School of Engineering & Technology initiated StartUp Mela.Around 230 students applied for this event. Their startup ideas willbe guided, mentored and promored by industry experts and AlumniAssociation will liaison with corporates to bring in the support ofdomain experts required to back student startup ideas. 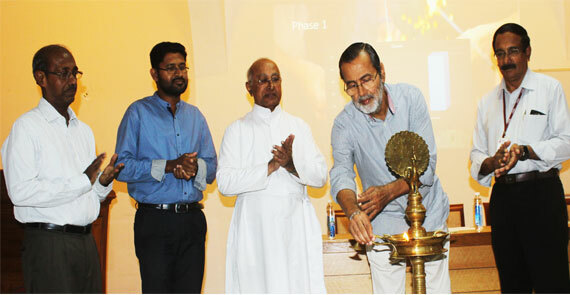 The functionwas inaugrted by Shri Kochouseph Chittilappilly at the function heldat the campus. "There are pleanty of oppoftuniites for this generation entrepreneursand founders need to be confident, determined and hardworking to comeup with flying colors. Said Shri Kochousep. Only products and serviceswith high quality and standard will have a longterm business futureand he admires company like TATA which is now being lead by the fourthgeneration entrepreneurs. He also said that, an entrepreneurs will be dealing with differentteams like finanace, marketing, strategy etc. and so they need to havean overall idea of all these segments. He said that he was just anabove average student in his studies and if he could make this happen,others could create wonders. Also, Entrepreneurs should know their shortcomings and should work toimprove their skillset and talents. They could use modern technologiesand devices to sharpen their skills. This event was jointly organized by the Alumni Association andEntrepreneurship Cell of Rajagiri School of Engineering andTechnology. Student startup ideas will be guided, mentored andpromored by industry experts and Alumni Association will liaison withcorporates to bring in the support of domain experts required to backstudent startup ideas. Alumni will also bring in opportunities forseedfunding for these startups. Rev. Fr. 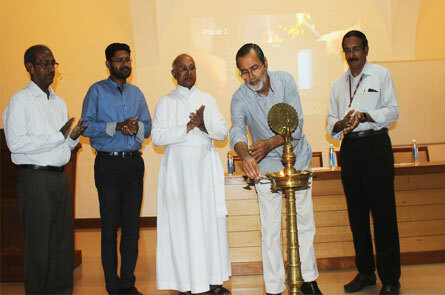 Jose Alex Oruthayapilly CMI presided over the function andsaid that entrepreneurship is the way forward for the country to exceli future, and students should start thinking of creating jobs thanjust getting jobs. He also offered different schemes and scholorshipsthe management offered for student startups. Dean & Vice Principal Dr. John M George and President of AlumniAssciation Mr Rijin John addressed the audiance.